Step by step instructions to change forum.php to domain root. Recently I upgraded vBulletin from 4.1.8 to 4.2 and Navigation Manager disappeared. Let’s see how to fix this error. 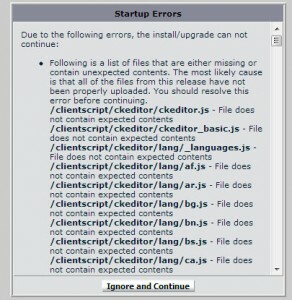 I encountered this error while upgrading vBulletin from 4.1.8 to 4.2.0. Read the post to find out solution. Buy making first post from user to be moderated you can stop vBulletin forum being spammed up to some extent. Find out how to do it. Links to some of the useful vBulletin resources, ad-ons, articles and tips. 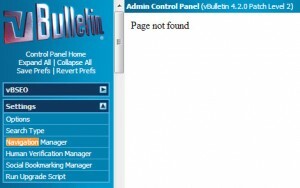 vBulletin 4.1.2 is vulnerable to SQL injection. The solution is to upgrade to the latest version. 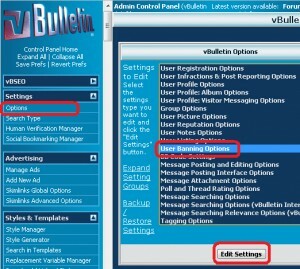 How to block IP Address in vBulletin. I see this error in the vBSEO generated sitemap on vBulletin Forum.